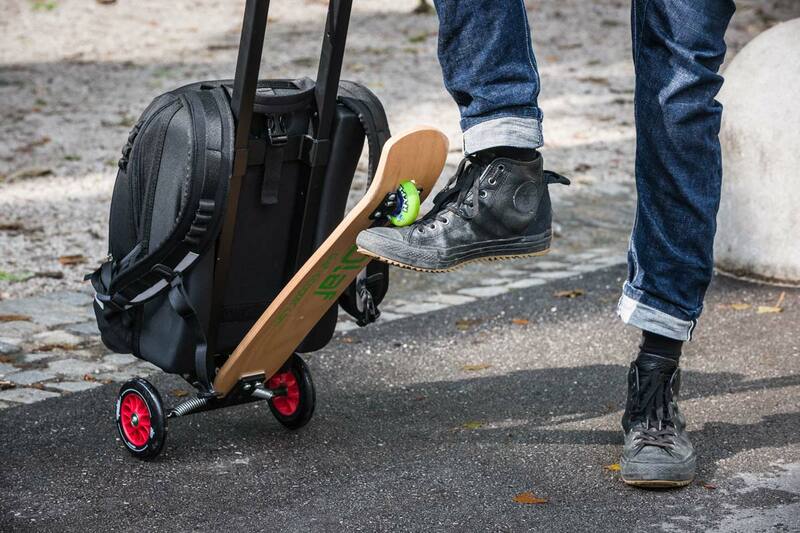 The Olaf Scooter takes the traditional kick scooter to a whole new level and lets you carry luggage on its front. 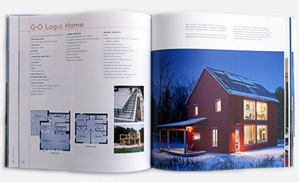 There are two models- one for business travelers and the other for urban dwellers. The design of the Olaf Scooter allows it to be many things at once- kick scooter, trolley, backpack and skateboard (urban model only). The Olaf Business is ideal for professionals on the move (especially those who need to quickly move between terminals). It has a sturdy 35 liter suitcase (with a special compartment for a laptop) and is carry-on luggage certified. 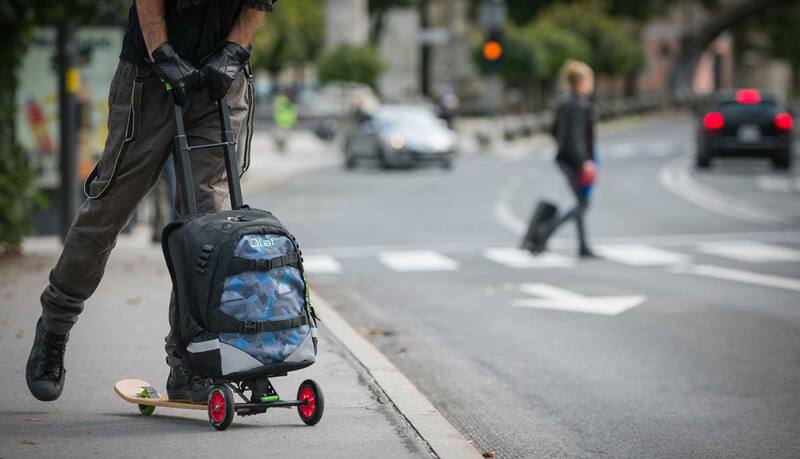 Its expandable handles let you easily use it as a trolley and you can also put it on your back when necessary. The Olaf business weighs 4.3 kg and its dimensions are 55cm x 34cm x23 cm. The Olaf Urban offers you a great way to travel around town. It has a very sturdy backpack with a designated laptop compartment and a packet for your phone and headphones. It also comes with wheel pockets to keep your back clean when you use it as a backpack. 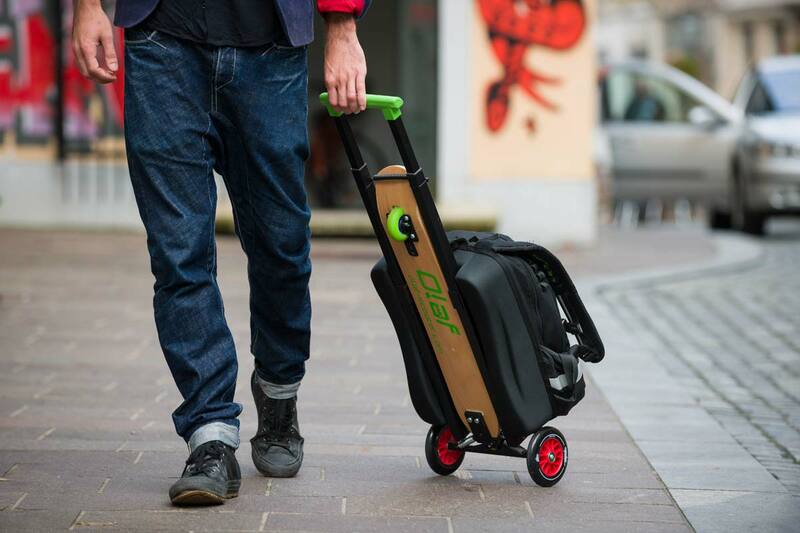 Its soft wooden longboard is ergonomically suited to your back. You can also detach the backpack and us the kick scooter separately. 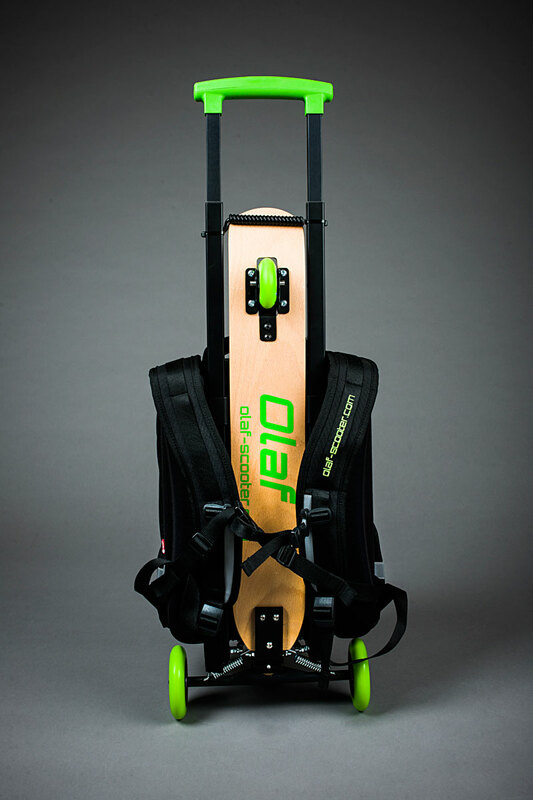 The dimensions of the Olaf urban are 80cm x 20 cm X 20 cm and it weighs 3.5 kg. Both models have a very responsive and easy to navigate steering system and rear brakes. They have ABEC 7 bearings and their mass load is 100 Kgs. The front wheels for both models are 110 mm, and the back wheels of the Urban model are 72mm and 55mm for the Business model. Hi, Where can I buy this product. Thanks.